Film Dynamics delivers Flighthead Mini services anywhere on the globe. As a full service solution including platform or standalone Flighthead Mini service. 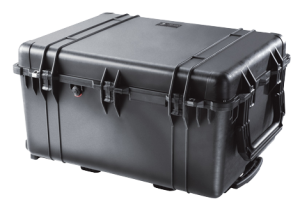 Due to the compact size of the Flighthead Mini Flightcase, the equipment can be checked-in as luggage as our technician/operator travels by plane to any location in the world. 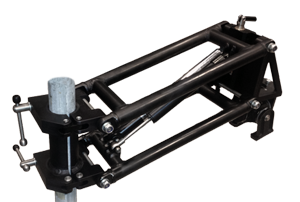 The production company selects a platform or vehicle where the Flighthead needs to be used. 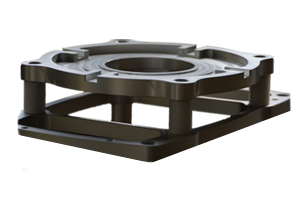 Whether it’s a multi-dimensional cable cam, jet boat or tracking vehicle with speedrail or crane, if there is a Mitchell base, we can mount the Flighthead Mini safe and secured. The Mini Shock Absorber acts like a steadicam arm, as it absorbs major shocks and vibration when shooting on rough terrain or water. The Mini Shock absorber can be mounted at the nose of crane or directly to a speedrail to absorb unwanted vertical movements.